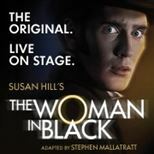 Find special offers to book tickets for plays, musicals and comedies in London's West End from Theatrebookings.com, the best place to find discounted tickets for London's Theatreland. For the best deals, scroll through our list of shows below. Call us on 020 7494 2301 or visit our box office for more details.